Monrovia, Liberia - Reverend Mother Esther Abimbola Ajayi, a Nigerian Prelate regarded in many quarters as Africa’s Most Generous Philanthropist, has donated cash and buses to three institutions currently catering to people with disabilities in Monrovia and parts adjacent. Each of the institutions also received a bus as part of her Foundation’s own way of identifying with the needy. The visitation with the three institutions according to a release from the office of the Vice president of Liberia was facilitated made by Liberia’s Vice President, Chief Dr. Jewel Howard-Taylor, who accompanied Mother Esther Ajayi. Mother Ajayi, Founder & CEO of Esther Ajayi Foundation, recalled her first interaction with VP Howard-Taylor which took place in Ghana at the launch of her Foundation, serenading the Liberian Vice President as a woman of humility. She revealed that it was based on the humility exhibited by VP Howard-Taylor during their interactions that she was moved to the conviction that a visit to Liberia would be a rewarding one, not a waste of time. The notable Cleric promised to do all within her powers and influence to impact the leadership and activities of the Liberian first female Vice President. 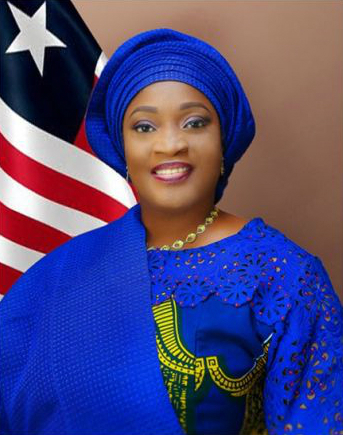 Mother Ajayi, who received an agriculture project proposal from the benefiting institutions, used the occasion to encourage Liberians to invest in the food production, especially the cultivation of rice, Liberia’s staple food. She observed that agriculture remains the foremost area of investment in the transformation of any nation, Liberia being no exception. Speaking earlier, VP Howard-Taylor thanked Mother Ajayi for identifying with people with disabilities. She urged Liberians to take note of the humanity shown by the Woman of God and be inspired to make peace with, and show love for one another. She emphasized that reconciliation must begin within and then work its way to everyone else, lamenting that Liberian presently is enthralled in noisy political atmosphere, a situation that Liberians can do without as it only goes to stalling the development agenda of the nation.